Lips doesn't move out of cutscenes for you? They never did. And the existence of this mod basically proves it. So staph with all those nonsense about my mod breaking the lipsync plz. But the mod of rmemr solve the problem. They never did, uninstall every mod and test for yourself. Without any mod and with MeshLODDistanceScale=1 (default value) lips move outside cutscene. It was setting MeshLODDistanceScale to any other value other than the default 1 which broke lips and eyes moving outside of cutscenes. And setting it to a value other than 1 is required so character faces aren't melted with your mod. So yes, your mod indirectly breaks it. 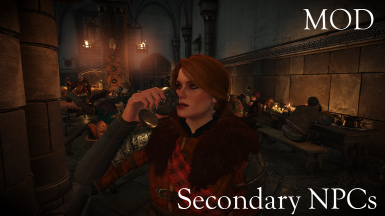 Remove your mod to prevent melting, and set MeshLODDistanceScale to 1, the lips and eyes move during gameplay. Luckily the issues been solved now with the Mimic mod you've linked, which forces higher quality cutscene lip-sync and eye animations to be enabled during gameplay. 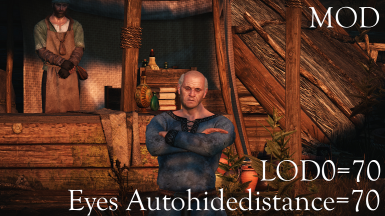 Cutscene lipsync and eye animations were always unaffected by MeshLODDistanceScale settings, which is why the animations now work with the MeshLODDistanceScale settings required for your mod not to melt everybody's faces. Some lips move and some do not no matter what you set the lod to. I have tested it with LOD set to, 1, 2 , 5, 10, 20 etc etc etc. With LOD set to 1, the cap by CPDR of how many NPC's move the lips is maxed out, however that cap is small and not all lips move regardless. 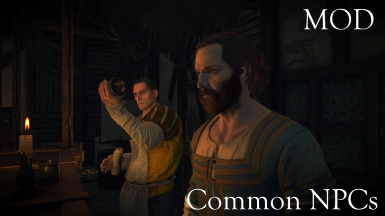 To solve this problem (partly) use the mentioned mod http://www.nexusmods.com/witcher3/mods/1902/? and it will make it a lot better (not perfect though) whether you use High Quality faces or not. 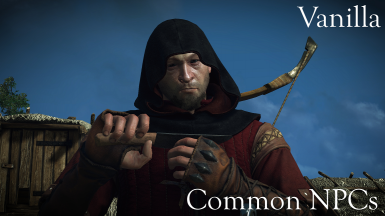 High quality faces will not make it worse and are perfectly compatible with the mod mentioned above. Read what I said again, then explain exactly how I'm "incorrect." You basically just reworded what I said. With the great mod "Lip Movement and HiRes Shadows on NPCs in gameplay" does the MeshLODDistanceScale setting matter any more, which should it be set to with both of these mods active? The documents folder doesn't even have anything in it for me. What am i supposed to do? 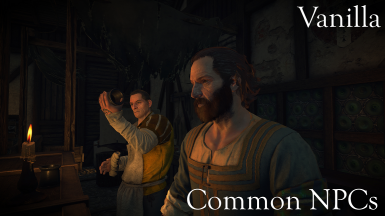 Your mod literally melt everyone's face except for Geralt. Always read the description. It is there for a reason. PS: If this doesn't resolve the problem i'm sorry, i have no idea. 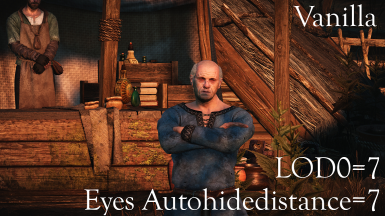 The mod works fine but NPCs don't move lips when speaking and they don't blink their eyes. 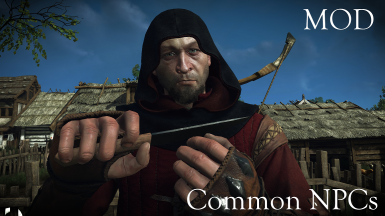 Maybe on CDProjekt forums they would know how to fix the issue? mine just resets each time i load the game and hence doesnt solve the problem any ideas? Changing value to 10 worked for me, thanks. Just repeating my post in case it helps some people here. 3- and only then do you reinstall the mod. It seems to work in that case. If you only change the setting, it does NOT work. Cheers, and I hope it'll help some people! The file keeps resetting itself, how do I prevent that? but where do i find this meshloddisnatcescale file? I can't find user.settings anywhere! Thanks you, now works fine ! I don't have a C:\users\MyUserName\ ocuments path that leads to a Witcher 3 folder with anything in it. Infact my documents folder is completely empty. I have Witcher 3 loaded through Steam library on a separate HDD which doesn't have a user file path. Unless you're not running Windows, you have a documents folder. Go to the file explorer, and look at the left hand panel. You'll see an icon under either "quick access" or "this PC" called "documents". The Witcher 3 folder will be there as long as you've started the game once. It doesn't matter if the Documents folder is located on a different HDD from the game, because Windows will still know where to find it. For example, my copy of TW3 runs on my C drive, which is my SSD. But, my documents folder is located on D drive. My user settings file is still located where it's supposed to be. BTW, this "the Witcher 3" folder is the same place your computer will save your game save data, just in case you ever need to find that. 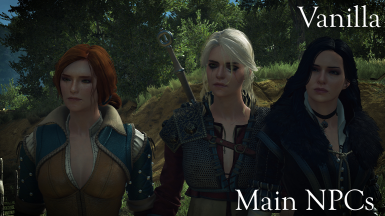 Notice: This mod, disables one of the best Geralt face mods around, Brutal Face (https://www.nexusmods.com/witcher3/mods/3092). Also, author should mention at Desc, mod covers Geralt too. thanks for letting us know man, wasn't sure whether it did cover Geralt since I'm wanting to use the Young Geralt mod. I installed the mod as described, including the recommend extra mod (Lip Movement and HQ Shadows), with MeshLODDistanceScale=10, and editng the actor.ws file. The game looks good, and I can see a noticeable difference (the eyes especially). However, now the NPCs don't blink their eyes (outside of cutscenes). Is there any way to get the NPCs to blink again? NPCs seem more wooden now, even though their faces are improved. Nope, as of now there's no way to enable facial animations during gameplay with this mod installed. The mod author and a few others seem to swear that if you install the High-Res Character Shadows and Lip Movement mod and set the MeshLODDistanceScale to 10 it will work, but that is not true. If you change the MeshLODDistanceScale from vanilla, which is 1, you disable facial animations during gameplay. However, if you do not change it, you'll have the "melted faces" bug where all the face textures aren't rendered. 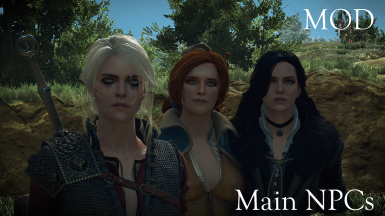 So you gotta choose: Have prettier faces, or have facial animations. I went with the latter because this mod isn't worth the trouble in my opinion. If we were to get help and a statement from the mod author or from somebody who knows how to make it work, that would be great, but as of now I have given up on this mod - which is a shame because the results would be quite nice. I have to agree I decided it was not worth it. While the eyes are a little improved, it's not that much with some characters. Not a huge deal. As BlurredNotions said, although the faces are much improved (brighter, better visible eyes for example), sadly it breaks face animations. No more lip movements and no blinking. - Find "MeshLODDistanceScale" and set it to 10. Save it. DO NOT modify to Read Only. - Make the same modification, changing MeshLODDistanceScale to 10 again and save it. Then install the mod (if you've already installed it, try to Reinstall or activate to make sure everything will be fine). That's it. There are TWO files to change the parameters, and most of people are trying to change just one (user.settings). Hope it save you guys. Hello! 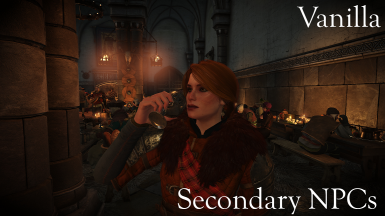 What mod organizer should i use to set the priority please? 2) Do not forget to drop the "modenablemimics" folder that is found in the DLC folder of the mouth movement mod into the game directory's DLC folder. The Witcher Mod Manager will not automatically do it for you!